After each long hard winter it’s hard to believe that spring is near, which means many things – but none more important than the fact that fantasy baseball is right around the corner. The country has been blasted by arctic cold front after arctic cold front and spring training couldn’t come soon enough. You cannot wait for your fantasy league to get set up so that you can take another shot at the championship. Part of this longing is that its been an long offseason, and the other part may revolve around your love for the game, but at the end of the day if you are truly being honest with yourself than you are in the same boat as many others – your fantasy football team stunk up the joint, and you were a non-factor by week five. Your prior year’s fantasy baseball team faded down the stretch and you are up against your 9th consecutive month of fantasy irrelevance and there’s no greater cure than fantasy baseball where redemption is imminent and even though you haven’t a single player on your roster, victory is well within your grasp. Fantasy Baseball is the equivalent to a sports savior for so many that love the game but cannot for whatever reason play the game. It makes fans of us all and brings to life a sport that has had its rough patches for the past two decades. It’s a game yes, but for 6 months out of the year it’s a life-style and a time consuming one at that. Furthermore, it’s an opportunity to connect with old friends, colleagues and even perfect strangers who share the common bond of a love for baseball. The greatest thing is that you don’t have to love baseball to play, you can love competition, winning and connecting with friends. Fantasy baseball allows you to build your team of players by position and use that team to compete against other opponents in your league who have done the same. What better way to rejuvenate your love for the game while engaging in your own home run battles, hitting streaks and no hitters. The major league players you place on your roster are yours for the season, so take the plunge right now and mobilize 8-12 of your closest friends together to see who has the best baseball know how amongst you. Fantasy baseball takes a while to get the hang of, but once you do you’ll be glad you did. Warning: Fantasy baseball is super addictive and takes a bit of work to get good at. Of course, its fantasy sports, not real, so there’s the chance you can commit very little to it and be successful, but the length of season does a remarkable job at marginalizing the “luck” portion of this fantasy sporst. Playing is easy, being good over the course of the season is not as easy. First you have to get a league or join a public league. Leagues range between 8-12 participants, the more league members, the more challenging it is to choose a roster that’s good. The league needs to decide if they want to play in a head to head league, where stats are counted for one week at a time against one other person in the league. Standings are based on wins and losses in each statistic. Win or lose, the next week you’ll face a different opponent. The other option is a Rotisserie format where stats are accumulated throughout the course of the season. From opening day to the last day of the season the gamer who drafted the best team will have the best accumulated stats by the end of the season. 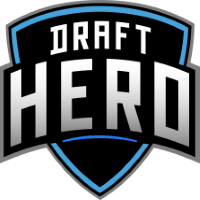 Once league format is discussed, the draft format needs to be decided on. You can do a snake draft where everyone gets to pick a player in one round and then everyone gets to pick in reverse order the next round. The amount of rounds you will have is determined by how many roster spots are allowed on your team. The other option is an auction draft where you are designated a dollar amount of pretend money and you bid on players, essentially purchasing them for the season. You assign your own value and get who you want as long as you have the funds. Finally league settings are set up based on what positions you want to have on your rosters, and what stats you want to be measured. Standard leagues have a catcher, 1B, 2B, SS, 3B, 3-4 outfielders and 1-2 utility spots on offense and 7 pitching positions consisting of at least 2-5 starting positions 2-5 relief positions. Traditional stats that are measured are HR, R, RBI, SB, and AVG on the offensive side, and W,Ks, ERA, WHIP and SVs on the pitching side. Any stat can be tracked however, including holds, balks, grand slams and GIDP. Trades and free agent pickups are a usual part of the fantasy baseball season as well. Fantasy sports sites that offer daily leagues like DraftKings, FanDuel and DraftHero also include baseball as part of their portfolio. These leagues require a modest buy in, but also offer payouts for teams you buy for just one day. Fantasy baseball is not difficult to find online with simple searches and there are several strategic based sites that offer advice on how to manage your team as well. It’s on you now gamers. Fantasy baseball leagues are launching as you read this and there’s no better time to get in on the action than right now. So sign up, play and get back to enjoying that game that you love so much.